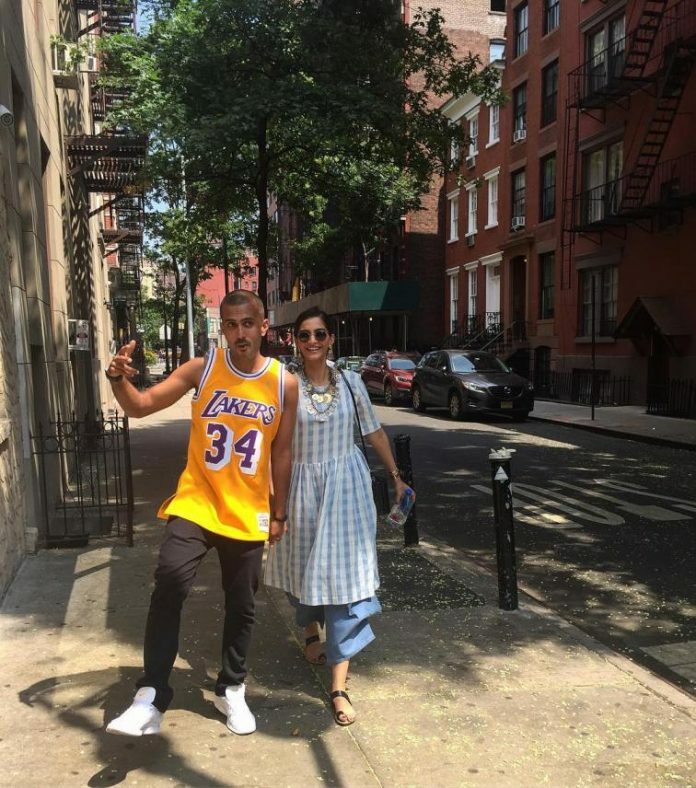 After enough speculations and rumours, it has finally been confirmed that Sonam Kapoor and Anand Ahuja will be getting married in a private ceremony in Mumbai on May 8, 2018. An official statement was released by the Kapoor family as well as the Ahuja family which made the announcement. Reports say that the couple will be sending e-invitations to the near and dear ones so as to avoid wastage of paper. The invitations will be customized with the names of the guest embossed on it. Moreover, there are reports that the stickers will be sent out to the guests to ensure that there are no gatecrashers. The guests will have to flash the invites on the phones for entry. The ceremonies will begin from May 7, 2018 with the Haldi and Mehndi ceremonies which will be held at the BKC residence of Sonam. On the work front, Sonam will be seen in the upcoming film Veere Di Wedding which also stars Kareena Kapoor, Swara Bhaskar and Shikha Talsania. The film is directed by Shashanka Ghosh and will be released in theatres on June 1, 2018. Reports say that Sonam Kapoor will get back to work within 8 days of her wedding.